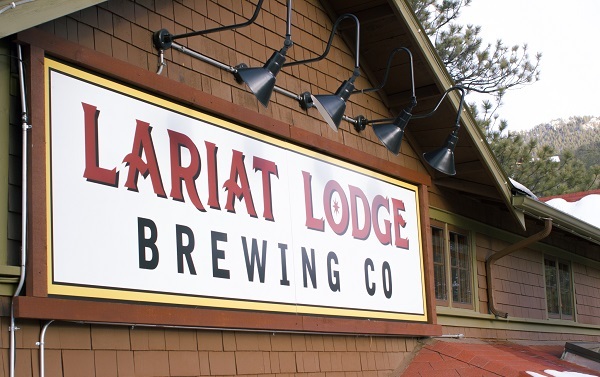 When it came time to look for a second location, one priority for Lariat Lodge Brewing was a lower elevation. The brewpub has operated in Evergreen since 2015. Lariat Lodge quickly settled on Littleton. Jansen, the daughter of owners Anders and Debbie Ruikka, said the brewery expects to open at 12684 W. Indore Place at the end of May. “This was the first building we looked at, and it was perfect,” she said. The new 18,000-square-foot brewpub will be more than triple the size of the Evergreen location, which is about 5,000 square feet, Jansen said. The Littleton site will have 20 barrels in its brewing system, four times more than Evergreen. But otherwise, it won’t differ much. The brewery’s food menu includes items such as burgers, fish and chips, Swedish meatballs and soups. It also serves brunch on weekends, according to its website. A beer flight from Lariat Lodge Brewing. Lariat Lodge offers a variety of beers with Colorado-themed names, including Angry Elk Amber Ale, Lariat Loop Lager, Bear Creek Blonde Ale, Golden Goliath and Red Rocks Red IPA. 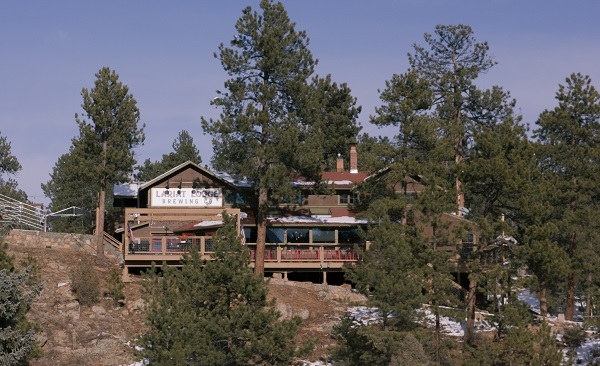 Lariat Lodge will continue operating at 27618 Fireweed Drive in Evergreen, where it launched on Halloween in 2015. The business’ name comes from the Lariat Loop National Scenic Byway, the historic 40-mile route that connects Evergreen, Golden and Morrison. Jansen said one of the most popular aspects of the Evergreen location is its “bark garden,” a concept they hope to repeat in Littleton. 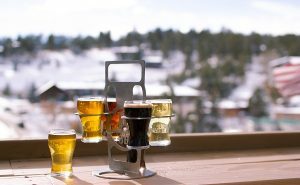 The brewery will start hiring its Littleton staff, including chefs and upper management, within a few weeks. The same brewer will oversee both sites, Jansen said. The brewery signed a 10-year lease on the Littleton property, and Lariat already is talking about opening another.